In the depths of her despair, Resty thought her phone would never stop ringing. Three times a day, seven days a week over several weeks, Resty says she received calls from the debt collector assigned to her file. The voice on the other end of the line was a constant presence in her life. She heard from him more than she heard from her doctor, who had just diagnosed her with cancer and warned her she may only have six months to live. She was so depressed that she didn’t care about paying her creditors anymore. “When I found out I had cancer I was like, ‘Why would I even pay for all these things now when I’m … I’m dying,” the 40-year-old petite Filipina said as she allowed a tear to roll down her cheek. She owed $8,500 on three credit cards, and that debt — just a drop in the bucket for some Canadians — took over her life. High credit card interest rates and the unceasing calls, on top of her health and personal crises combined into a year of pure hell for Resty. Too pain-stricken, depressed, alone and ashamed to tell her family, Resty coped with her cancer alone for three months, as she also grappled with her debts in secret. But there was one other person who knew about her outstanding debts, Resty says — the voice on the other end of the phone. Some of the credit card debt had been racked up by her boyfriend, who had used her cards without her knowledge. He ended up leaving her for another woman, and later committed suicide, leaving her to deal with the debt and the endless calls by herself. She was in her late thirties, raising a teenage daughter while trying to finish a course that would have allowed her to use her Filipino nursing degree in Canada. She was also working as an aide at a Toronto nursing home, struggling just to pay her rent and keep the heat on. The debt collector also called her employer, she says, and left a message for her with her manager. She says the debt collector wanted her to wire a lump-sum payment of $4,200 to a numbered account. She remembered his phone number and stopped answering his calls. But one day he called from an unknown number. Resty asked HuffPost Canada to use her nickname because some of her relatives still don’t know about her debt struggle. In 2015, debt is still considered one of the last great taboos. Indebted Canadians are often in such dire circumstances that they cannot perceive through the fog of despair that they have rights and recourses. 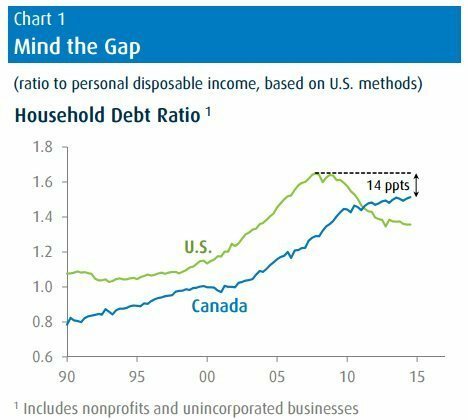 Limited options for such Canadians can trap them deeper in a cycle of debt that can not only make their lives miserable but exacerbate economic inequality. Few people will admit that they know what it’s like to be on the other end of a debt collector’s call. HuffPost Canada contacted the debt collection agency that had called Resty. Although HuffPost, at Resty’s request, did not identify Resty to the agency, the agency rejected her description of her experience, saying they have strict policies about what agents can say to clients, including prohibitions on requesting a wired money transfer or using abusive language. The firm says it records all of its calls and uses audio mining software to flag hundreds of trigger words such as “police” or “legal action.” The company says those calls are reviewed every day to determine the context surrounding the use of those words. While the laws governing collection agencies vary from province to province, generally they are barred from calling friends, family and employers, or from making threats. Still, Jeff Schwartz says plenty of his clients turn to credit counseling because collection calls are pushing them over the edge. “Financial stress is a very real thing with very real impacts. Heavily indebted Canadians are hard enough on themselves – they’re stressed, embarrassed, and at their wit’s end,” said the executive director of Consolidated Credit Counseling of Canada. Although collection agencies are the top source of complaints for consumers among all service sectors for Ontario’s Ministry of Government and Consumer Services, there are currently none on the province’s “Consumer Beware” list. The ministry told HuffPost that in the first six months of 2015, there were 5,029 complaints and inquiries about collection agencies. “Harassment” and “conduct” of debt collectors were two of the top five reasons for those complaints and inquiries. The debt collection agency confirmed that the agent who called Resty did work for them on credit card collections during the period she says she was receiving calls. They said the agent would not have made those types of comments because it would violate the agency’s policies. The agency said he no longer works there, having left of his own accord. Resty said she remembers telling the agent she needed more time to pay back her debt. But she says he insisted on getting the lump-sum payment now, so he gave her the names of two lenders willing to make a quick loan — but at an exorbitant cost. She had already tried to consolidate the loan through her bank but it rejected her because, in their view, she had no means of paying it back. She found the website of one of the lenders the agent recommended and inquired about an instalment loan – a short-term, high-interest deal that is usually larger than a payday loan and is paid back in a fixed period. The company offered her $4,200 at an interest rate of 46.95 per cent. At $315.42 per month for three years, that would add up to $11,355.12 — nearly three times the amount she needed to pay off. The alternative wasn’t much better. The other lender he suggested offered a rate that would amount to 45 percent, she says. These kinds of installment loans are largely unregulated, subject only to the 60 per cent cap on interest rates outlined in the Criminal Code. The 2013 federal budget included a promise to “protect vulnerable Canadians from predatory lending,” but the Harper government has taken few concrete measures. Instead of cracking down on the industry, Ottawa has focused efforts on the consumer side. It set up the Task Force on Financial Literacy in 2009 to advise the government on improving Canadians’ financial literacy, but its recommendations stop short of regulatory measures. But financial literacy did little to help Resty. She knew how much financial trouble she was in, and felt that she had few options. It’s difficult for people in dire straits who are just trying to survive day-to-day, says Jerry Buckland, a professor at the University of Winnipeg who studies fringe financial institutions and financial exclusion. Some advocates argue that banks should be required to offer services such as short-term loans to higher-risk borrowers like Resty to protect them from unfair, deceptive or fraudulent lenders. Buckland believes that Canada’s consumer protection laws are too weak and could be more effective if they identified particularly vulnerable consumers. “This whole set of financial services often are directed at low-income or relatively lower income or modest income Canadians,” he said. Resty says she was “happy-go-lucky” before her life snowballed downhill in 2013, her year of hell, made worse by the shame she felt about her out-of-control debt load. It started when she fainted at work. Doctors discovered a tumour, which needed surgery. Then they diagnosed her with cancer. She was on disability for six months, budgeting her meagre employment insurance cheques as the bills piled up. Everything — car expenses, groceries, rent, tuition to upgrade her Philippines nursing degree to meet Canadian standards, her brother’s schooling — went on her three credit cards. She was using one to pay off another. She was often late in paying and eventually stopped being able to pay her BMO credit card, the one she used most. She sank into a deep depression. She told her doctor she wanted to die. Her sister told her daughter not to leave Resty alone. Resty finally broke down and told her sister about her financial woes. That act of sharing her struggle turned out to be her redemption. To her surprise and relief, she found out her sister had just gone through a debt settlement program at Consolidated Credit for a debt three times as great as her own. Her counsellor consolidated her three credit card balances into one debt and persuaded the creditors to waive the interest. In three years, Resty expects to be debt-free. She has cut up her credit cards and says she spends only what’s in her bank account. Two years after her initial diagnosis, it appears her cancer is less aggressive than her doctor first believed. Her recent results have been positive and with her debt under control, her confidence improved and she started going out again, and then she met her husband of eight months. “I never thought I’d get married, because I promised myself never. Never!” she said, a smile dancing around the creases of her mouth and in her eyes.